It’s nearly been a year since Lana Del Rey released her last album Honeymoon, which was a return to the dreamy, retro sound that made her a pop darling. As Lana took to the River stage at Osheaga, as the headliner for Saturday night, she delivered a performance that felt like it was from another era. 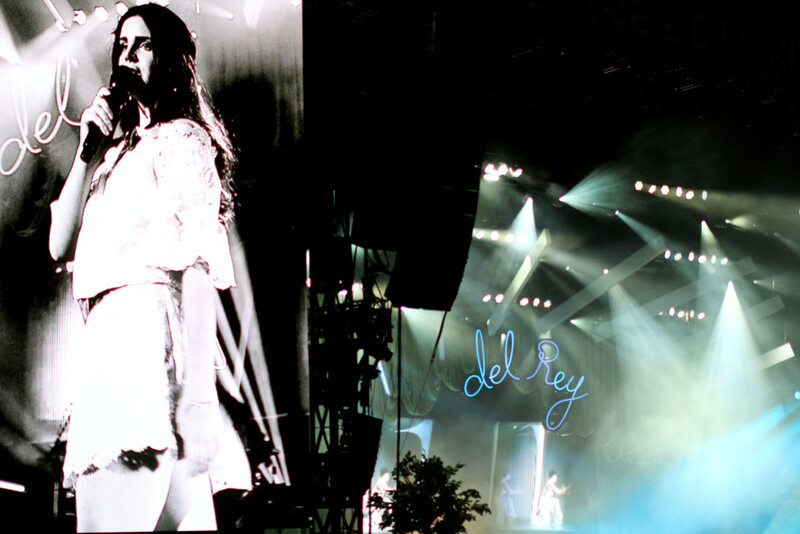 A neon sign blared the words “del Rey” behind her, and Lana and her gang of backup singer/dancers delivered hits like “Yayo” and “Born to Die” from her first album and “Music to Watch Boys to” from Honeymoon. Lana chose to skip some of her bigger songs like the radio friendly “Summertime Sadness” and “Young and Beautiful” from The Great Gatsby soundtrack, her setlist was more for people who’d been there from the beginning. Fireworks rang out mid-performance, and the entire crowd of 40,000 was illuminated in their light. 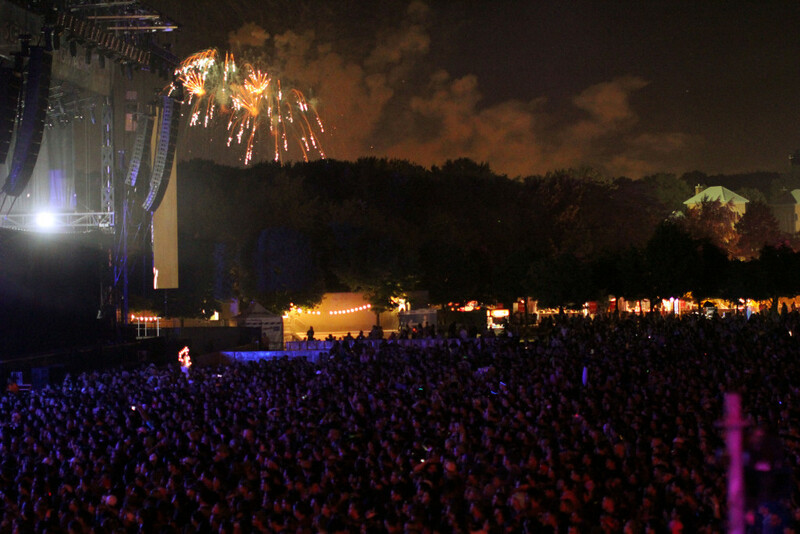 It was one of those “I’ll never forget this” moments that Osheaga provided throughout the weekend. 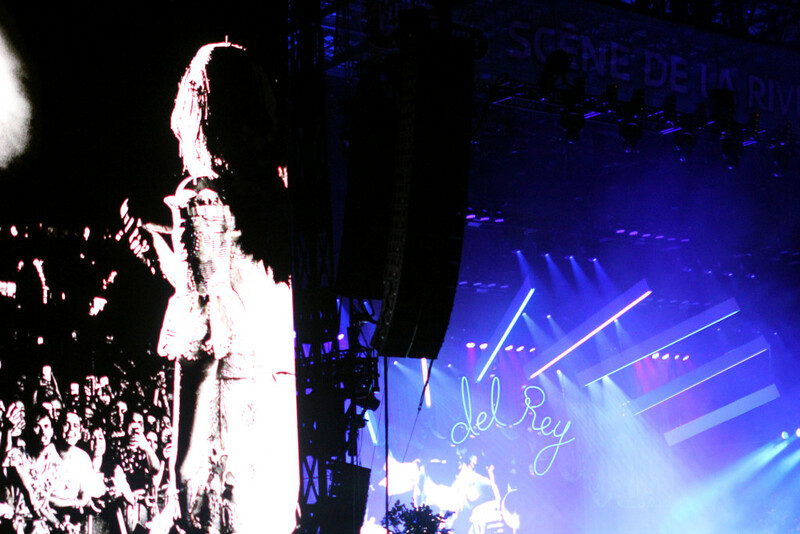 The second night of Osheaga belonged to Lana Del Rey, who enchanted The River Stage with her performance. 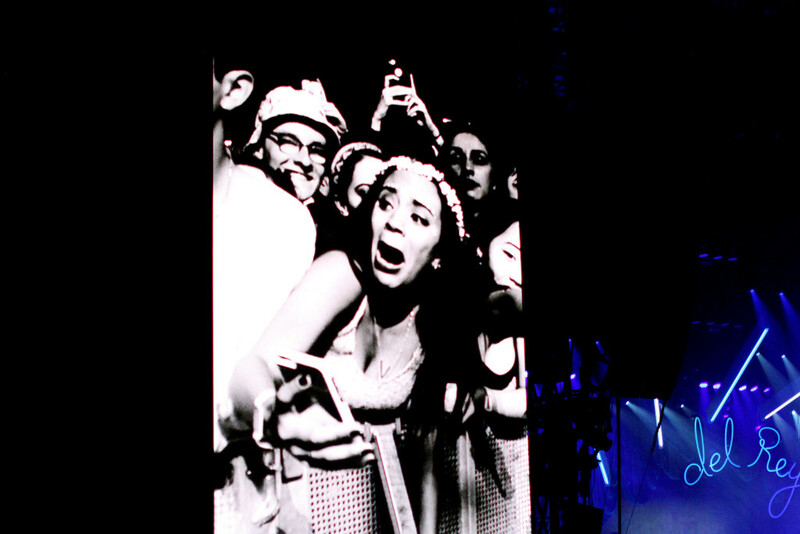 Black and white visuals from the ’50s and ’60s flashed across the screen as Lana belted out her verses. 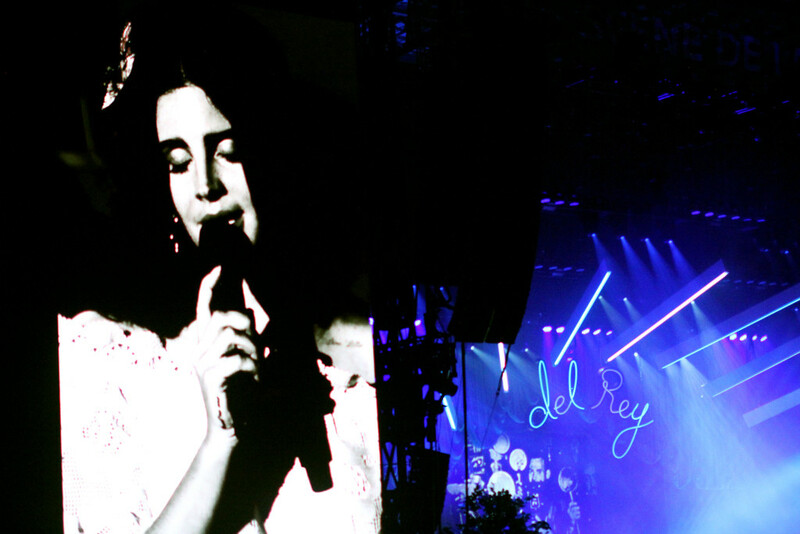 Lana appeared larger than life, as she headlined the second night of Osheaga music festival. The choreography was cutesy, as Lana’s background singer’s synched their moves to Lana’s music. Fans lined up for hours, for the chance to take in her performance from the front. Lana was not a big talker, save for a few polite “thank yous” in between songs. Fireworks went off as Lana performed her breakout track “Born to Die”. It was nothing short of majestic. 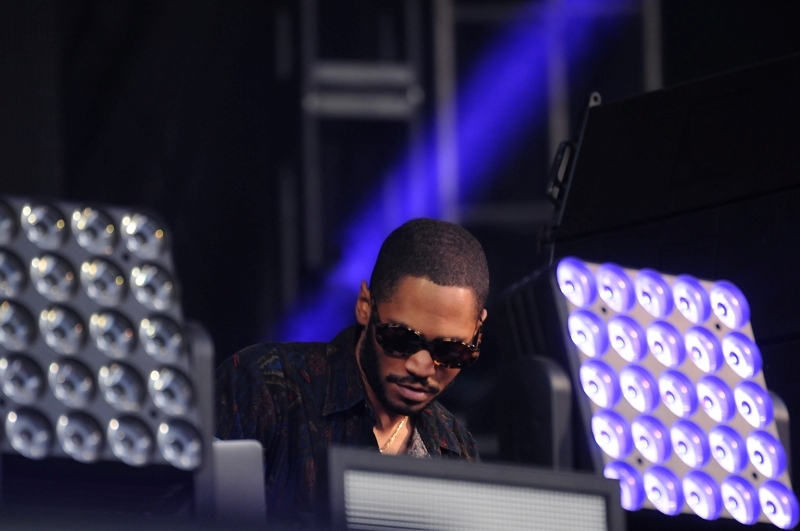 Kaytranada was a major highlight from Day 2 at Osheaga. He’s pretty much homegrown talent, born in Haiti and then crowd was absolutely packed as he performed songs from his album 99.9% at the Piknik Electronique stage (Scene Piknik Electronique). 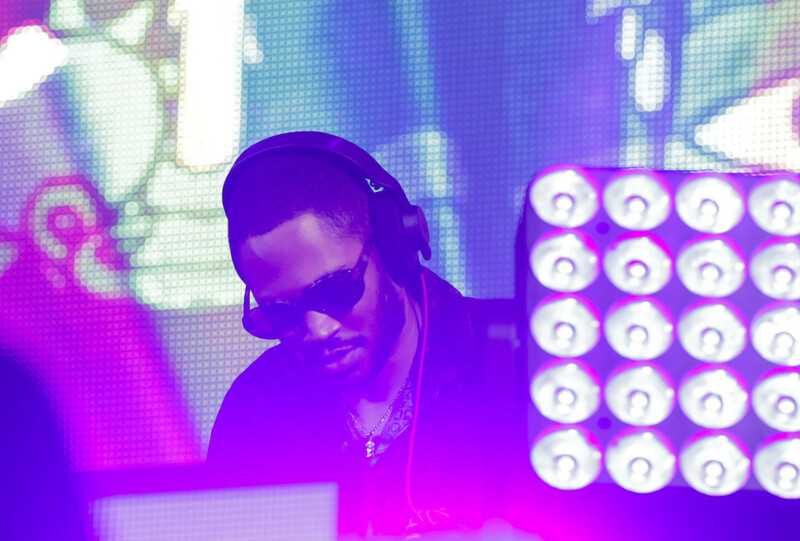 Kaytranada held it down for his city and took the stage for nearly two hours and spinning tracks from his latest album as well as throwbacks by Craig David and Janet Jackson.